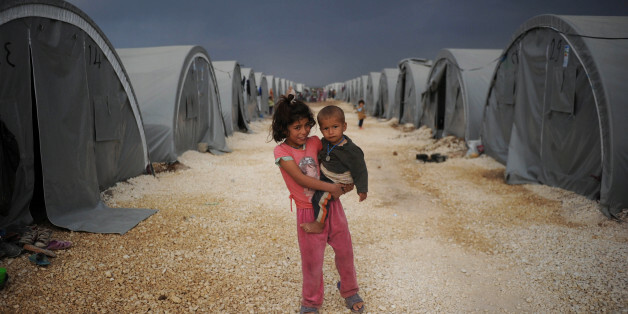 ISTANBUL -- The Syrian refugee crisis has exposed the hypocrisy of a world that promises universal rights and then does little to guarantee them. Today, despite headline-grabbing pledging conferences, the majority of Syria's 6 million impacted and displaced children still go without a basic education -- and up to half a million of these children are losing out on their opportunity for a higher education. The long-term future of postwar Syria is already imperiled. Many boys are directed toward the fields or the front lines. Many girls find themselves forced into early marriage or become victims of this century's most common form of slavery -- human trafficking. A lost generation is not only identified by empty classrooms, silent playgrounds and short, unmarked graves. A lost generation is one where hope dies in those who live. A lost generation is one where hope dies in those who live. The Syrian catastrophe highlights a world where nearly 60 million primary school age children -- whether inside or outside conflict zones -- are denied their basic right to an education. These young people have become the main source of cheap labor, are primed for early marriage and the preferred recruits for terrorist groups. In turn, growing numbers of parents are swelling the ranks of families moving to distant shores in search of safety and opportunity for their young. In all, some 30 million out-of-school children are found in emergency or conflict-affected countries, from the Pakistan-Afghan border to the mountains of Myanmar and the streets South Sudan and Yemen. And these numbers do not account for child victims of natural disasters -- be it flooding and drought conditions in Ethiopia, or immovable rubble in the wake of an earthquake in Nepal. Even one year after Nepal's earthquake, some 900,000 children are still on the streets, denied an education as their schools lay in ruins or go unrepaired. Our inaction risks leaving today's young fully aware that this generation did little to secure their future. Only an education revolution can force the world to live up to its responsibilities enshrined in international law and recently reinforced in the United Nations Sustainable Development Goals. As a starting point at the World Humanitarian Summit in Istanbul, a bold, new fund -- "Education Cannot Wait" -- will be launched. The fund is designed to ensure that when an emergency arises, be it a civil war or natural disaster, a child's education will go uninterrupted. The present state of education funding in emergencies necessitates this shift. Indeed, less than 2 percent of global humanitarian aid is directed toward education. With the inauguration of "Education Cannot Wait," funds will now be disbursed at the first sign of smoke when crises arise. In turn, it is the fund's aim that schooling will go uninterrupted, opportunities therein secured and hope preserved. Today's reality gives us pause. We live in a world where refugee needs are not temporary, with many spending more than a decade out of country. Our globalized, interdependent world reminds us that states cannot be shielded from emergencies. As the significance of national boundaries falls, the importance of collective action is only elevated. It is for this reason the fund will direct aid to children in both low and middle income countries. As the significance of national boundaries falls, the importance of collective action is only elevated. Realizing the "Education Cannot Wait" vision will require a radical new approach to how we conceptualize education failures in emergency situations. Governments, businesses, philanthropies and development organizations must come together, not just to lend financial support to help us meet the $3.85 billion capitalization plan, but also to provide needed intellect and inspiration to an education challenge that can rightly be called this century's civil rights struggle. Working through the fund, we will clearly telegraph that henceforth the depth of your own government's pockets will not determine whether you receive an education. Your household's penury must not shut you out of the classroom. And the presence of conflict and violence will not deprive you of that most basic right to schooling. 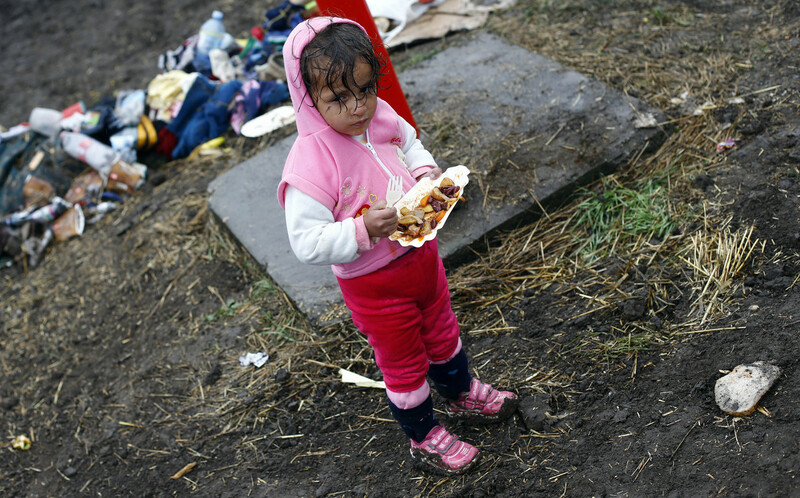 A young girl stands with her lunch in the rain at a temporary holding center for migrants near the border line between Serbia and Hungary in Roszke, southern Hungary, Thursday, Sept. 10, 2015.